I fell in love with design when I started creating layouts for the Scroll newspaper in college, and quickly made graphic design my minor. I’ve designed logos, memes, a cookbook, catalogs, research booklets, presentations, wedding invitations, newspaper and magazine layouts and more. You can see my process book for the Peacock Frock logo here. The Haven is a homeless shelter that, unlike many others, allows couples to stay together in a furnished apartment. Skills and essentials to getting a job are taught and provided to residents, and they must get a job in order to remain there. This booklet was designed to inform about the mission of The Haven and to obtain funding. I wanted the photos to be rich and the overall feel of the booklet to be optimistic and light, because The Haven offers a second chance to so many. Because of our presentation and booklet, we persuaded our audience that the available funding should go to The Haven. View full booklet here. A research paper I was responsible for designing. The design was created to portray frugal functionality. View full booklet here. 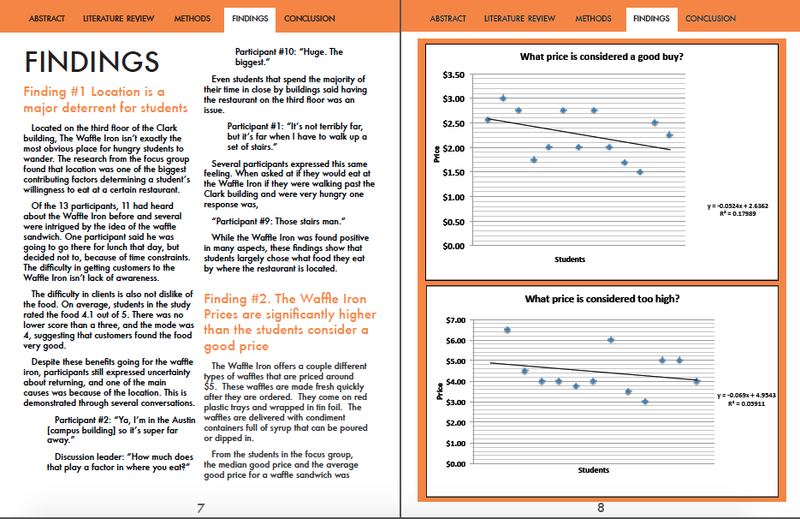 I created this booklet for a research project where we studied why students chose to eat at certain locations rather than others. Clear organization was essential for this booklet. The colors were chosen from the logo of the restaurant we analyzed. View full booklet here. A practice in typography. 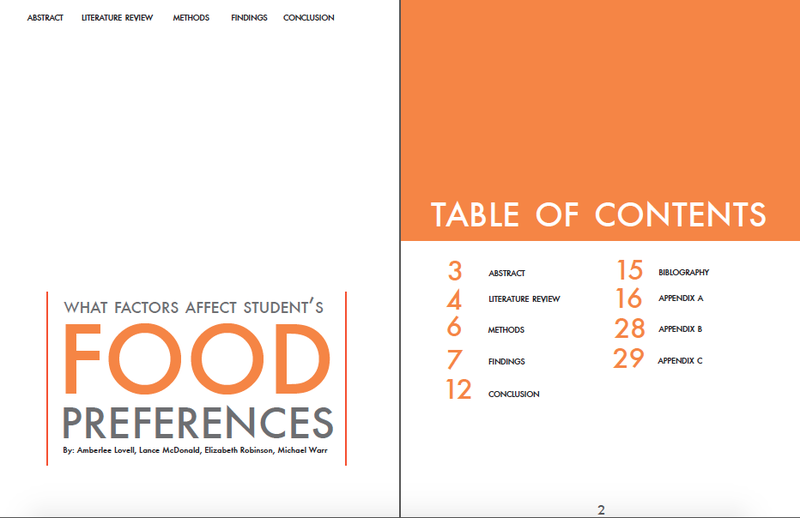 This booklet explores how to make long portions of text interesting without involving graphics, the importance of consistency and choosing appropriate color values. View full booklet here. I ran Idahoan Food’s Facebook page for the four months of my internship. I created Digital Valentines on Valentine’s Day and photoshopped a packaging shot of a fake new product for April Fool’s Day: chocolate chip mashed potatoes. I currently manage the LDS Women Facebook page. The meme “Treat every person as a child of God,” received 4,000 likes, 1,430 shares and 25 comments.